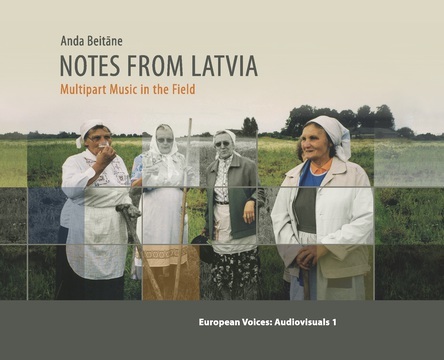 Anda Beitāne, CD: Notes from Latvia. Multipart Music in the Field. European Voices: Audiovisuals 1. Musik, Gesang und Tanz: Liene Brence, Oskars Patjanko und Anda Beitāne. Einführung und Moderation (in englischer Sprache): Anda Beitāne. “Die Doppel-CD Notes from Latvia, Multipart Music in the Field (Notizen aus Lettland. Mehrstimmige Musik im Feld) ist die erste Publikation der Serie European Voices: Audiovisuals des Instituts für Volkmusikforschung und Ethnomusikologie der mdw-Universität für Musik und darstellende Kunst Wien. Die Präsentation wird geleitet vom Notizenkonzept, welches die Aufnahmenzusammenstellung und das Booklet bestimmt. Während des Abends werden einige Aufnahmen aus der CD vorgespielt, dahinter stehende Geschichten erzählt sowie live Musik aufgeführt, die sowohl mit dem CD-Inhalt als auch mit dem Symposiumsthema in Verbindung steht. Die Ausführenden werden das Publikum überdies einladen bei der Aufführung einiger Tänze mitzuwirken. Während des Empfangs nach der Präsentation werden, dem Wunsch der Sängerinnen der CD folgend, weitere Notizen aus dem Feld, sowie regionale Getränke und kulinarische Spezialitäten serviert. 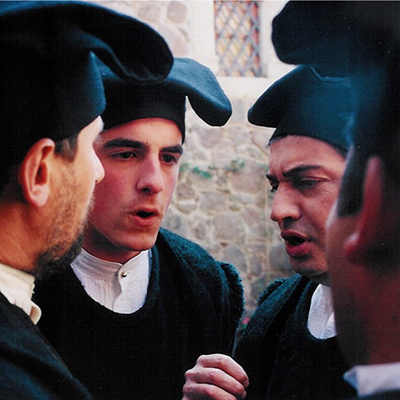 European Voices: Audiovisuals is a new series of the Department for Folk Music Research and Ethnomusicology of the University of Music and Performing Arts Vienna. An essential element of it is the partnership with institutions in which members of the Research Centre for European Multipart Music (EMM), based in this Department, are engaged. EMM members will present here unknown audio and video recordings of multipart music and dance practices, primarily from fieldwork, with comprehensive explanations drawn up in close cooperation with music and dance makers. The focus of this publication is on the music and the people who make it. The concept of notes arose quite naturally during the selection of the recordings from more than 20 years of fieldwork. 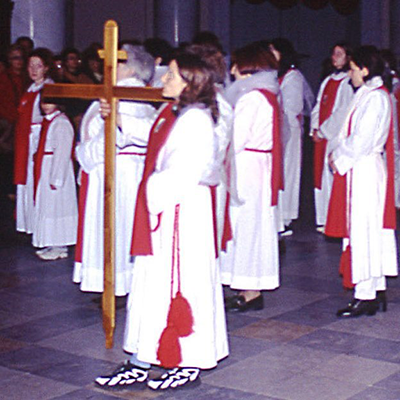 They contain primarily female singing, since multipart music practices in Latvia are basically in the hands of women. These “hands” are also meant physically, because the singing has often been a part of or associated with women’s work outdoors, in the field. 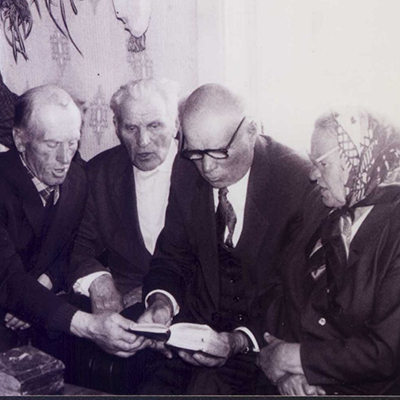 This is also the case among the third generation of Latvian emigrants in Siberia. 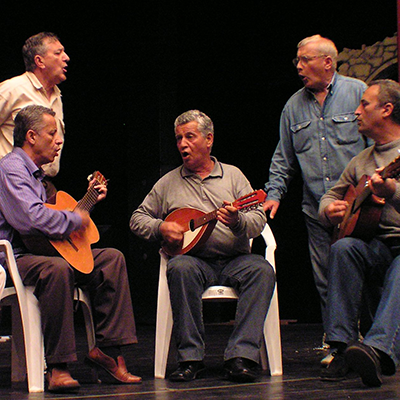 Significantly, singing together is praised in widespread songs in all these practices as a celebration of the moment of “being together”, evoking at the same time the absent ones, since “only God knows where some other year / we will be singing…” Such inside views, expressed in words and music, also lead to a better identification and recognition of the particular space of music-making in the life of these communities. Liene Brence is a lecturer at the Department of Ethnomusicology of the Jāzeps Vītols Latvian Academy of Music. 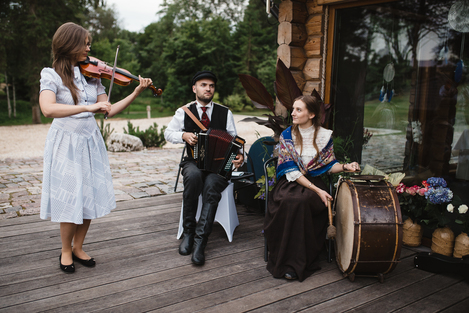 She performs on the violin, mandolin, diatonic accordion, kokle and zither, and sings at weddings, concerts and festivals together with the group Kaktu balles muzikanti (musicians for back-room balls), her family group Igauņi Family, as well as the group Arcandela. She has also taught the violin in different projects and at various festivals of traditional music. In her research she focuses on local violin music practices in Latvia and neighbouring countries and has conducted fieldwork in different regions of Latvia. 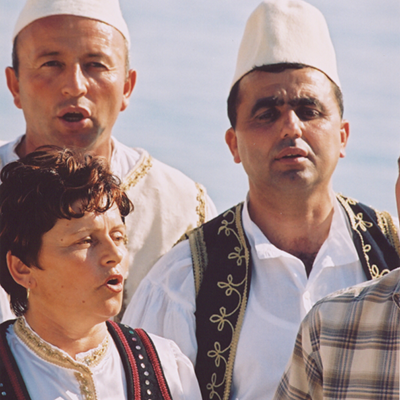 “Kaktu balles muzikanti” during a wedding. 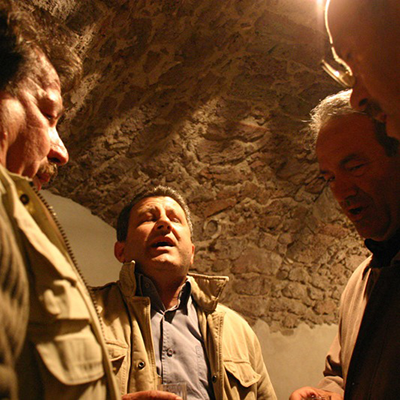 From the left: Liene Brence, Oskars Patjanko, Lauma Bērza. Private collection of Oskars Patjanko. Unknown photographer. Ķegums civil parish, 21 July 2017. Oskars Patjanko is a computer engineer, folk musician and researcher. He works as a software developer at Exigen Services Latvia, teaches the diatonic accordion at the Department of Ethnomusicology and is in charge of the Digital Archive of Traditional Music at the Jāzeps Vītols Latvian Academy of Music. He performs on the kokles and different kinds of diatonic accordion and sings at weddings, concerts and festivals together with his group Kaktu balles muzikanti (musicians for back-room balls). He has taught Latvian traditional dances at dance festivals in Latvia, Estonia and Lithuania. 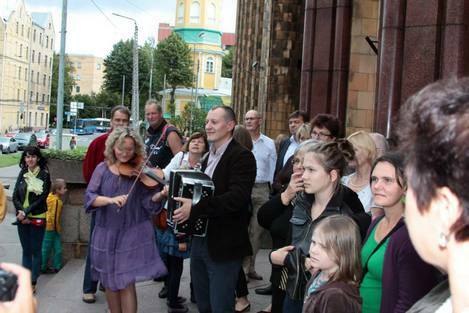 His research areas are traditional dance music and traditional types of accordions in the Baltic region. He has published a book about the Ieviņas, a Latvian diatonic accordion, and has conducted fieldwork in different regions of Latvia. Anda Beitāne (violin) performing together with Aigars Lielbārdis (diatonic accordion). Archives of Latvian Folklore. Photograph by Aldis Pūtelis. Riga, 26 August 2014. Anda Beitāne is a Professor, the founder (2006) and Head of the Department of Ethnomusicology and Vice-Rector for Research and Creative Work at the Jāzeps Vītols Latvian Academy of Music. She has been invited for lectures at music universities and music academies in Astana, Budapest, Minsk, Vienna, etc. She also performs local music on the violin and sings, often with local musicians and singers from north-eastern Latvia. Since 2014 she has been the Latvian Liaison Officer at the International Council for Traditional Music (ICTM). Her main research areas are local practices in Latvia and neighbouring countries, multipart music, religious musical practices, and intangible cultural heritage: between music makers and cultural policies. She has published books, sound recordings and articles on issues of historical sources and fieldwork in Latvian ethnomusicology, multipart music, portraits of singers and musicians, terminology in research and local communities, war songs, and intangible cultural heritage in theory and practice. She has conducted fieldwork in Latvia, Russia (Siberia), Belarus and Greece.